To Sum It Up: In the annual Scorpio Races, riders not only attempt to cross the finish line but to survive the race itself. The capaill uisce, or water horses, are as likely to turn on their riders as they are on each other. As returning champion Sean Kendrick prepares to defend his title with his beloved water horse, Corr, Kate “Puck” Connolly is about to become the first female rider in the races. Hoping that winning the prize money will prevent the breakup of her family, Puck braves the impossible odds. In a contest as unpredictable as this, though, perhaps Puck’s chances are not as slim as they appear, just as a repeat victory for four-time winner Sean is not guaranteed. Review: I had a really hard time getting through this book. It’s beautifully written, with exquisitely detailed depictions of life on the small island of Thisby. The descriptions of the magnificent yet lethal water horses are especially vivid. Given the caliber of the writing, I was disappointed with the book’s pacing. After about 100 pages, it felt like nothing significant had happened. After about 200 pages, I was still waiting for a plot twist. I don’t know if it was a conscious decision to have the book move at a trickle to further illustrate the stagnancy of Thisby life, but it didn’t work for me. I didn’t find any of the characters memorable, either. Sean seemed like a decent enough guy, but aside from his love of the capaill uisce, he was just there. I didn’t find Puck very interesting, either, although her home life did make me feel sorry for her. The characters who caught my attention the most were Benjamin and Mutt Malvern, and that’s because they were two jerks who deserved to be eaten by the capaill uisce on Page 1. Like the book overall, the other supporting characters (Finn and Gabe Connolly, Peg Gratton, Dory Maud) were well written but failed to make me feel emotionally invested in any of them. 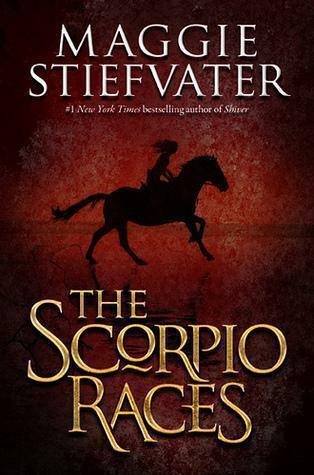 For those readers who appreciate books which build very slowly and without dropping plot bombshells, The Scorpio Races is a perfect fit. Unfortunately, I’m the type of reader who needs the occasional jaw-dropping moment to persuade me to continue reading. All in All: This is the sort of book that you just have to pick up and read and then decide for yourself whether or not it’s your cup of tea. 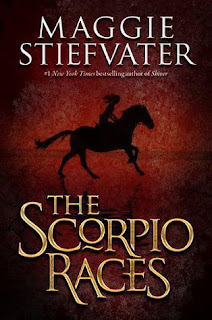 I’d never read any of Maggie Stiefvater’s books before; although I wasn’t crazy over this one, I still admired her writing talent and wouldn’t let my experience with The Scorpio Races discourage me from reading another of her works.